He started rotting on a Monday. His belly was full of maggots by Wednesday. They exploded his middle and throat. I smelled him on Thursday. “Like a gas leak or rotten eggs,” I e-mailed the owner of the building. But no one came. By Friday the smell was unbearable and I decided to leave. On Saturday they found him in his tub. Five feet below my own, unrecognizable, painted purple and red, in loose pieces. The next day I returned to my apartment to fill a suitcase with my medication, all of it, I didn’t know when I’d return. I mouth-breathed the sour salmon taste of his decay. I tried coming back a few days after that. The body was no longer there but I could still taste and smell it. Ten days went by, I tried again, the same smell. The cleaning crew showed up over two weeks after the death to clean the tub. I found out from the cleaners that the smell lingered well after the body was gone because his clothes, soggied with blood clots, had been left behind in the tub and had clogged the drain with reddish-brown. When Quinn was alive I wondered why such a nice man was always alone. On multiple occasions I tried to help him with his groceries but he’d refuse me with a joke. He offered to help me as well but I never said yes. Quinn was eighty-six years old. He slept in his bathtub because he had many books, a bed would have meant less space to store them. He was not busy. I know it was not the family’s fault. I’m sure they tried to be close to him, asked him to come live with them. Maybe they tried to see him but desisted after he’d spent a lifetime convincing them that he liked to be alone, that he was happy that way. I’m always running away, always saying I’m happy this way. Andra Emilia Fenton was born in Mexico City. She has co-led delegations to the United Nations to advocate on behalf of imprisoned journalists, trained health leaders in Brazil, and texted with thousands of people in Latin America about their finances. In 2013, she completed a fellowship in Fiction at the City University of New York’s Graduate Center. 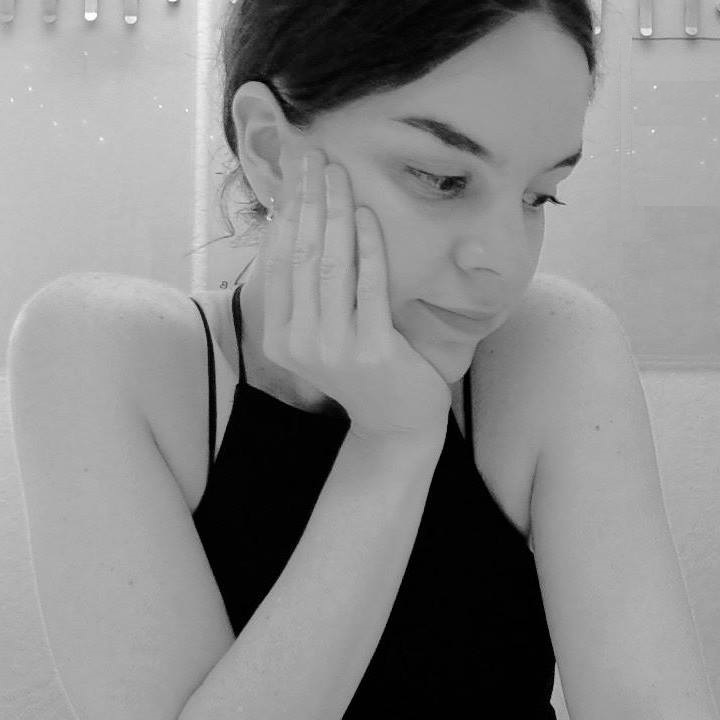 Her writing has been published in The Caterpillar Magazine, Euphony Journal, Anima Poetry Press, Soundings Review and elsewhere. 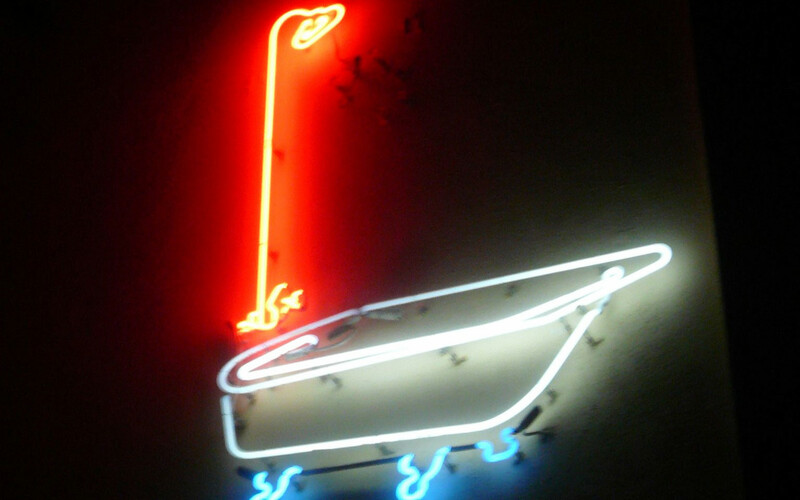 “neon bathtub” by Shannon Clark is licensed under CC BY-SA 2.0.